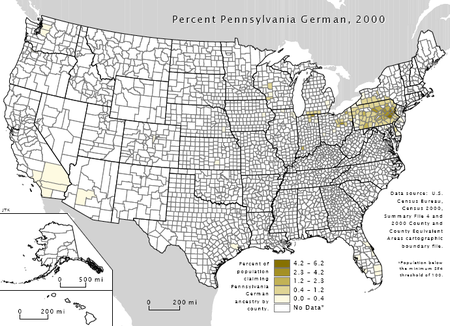 Pennsylvania German (Deitsch, Pennsylvania Deitsch, Pennsilfaanisch Deitsch, listen ( help· info); usually called Pennsylvania Dutch) is a variety of West Central German spoken by the Amish, Old Order Mennonites, and other descendants of German immigrants in the United States and Canada, closely related to the Palatine dialects. 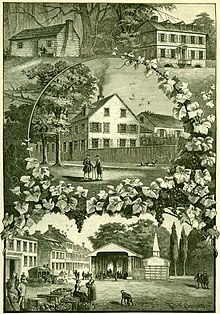 Fewer of the Pennsylvania Dutch settled in what would later become the Greater Toronto Area in areas that would later be the towns of Altona, Ontario, Pickering, Ontario and especially Markham Village, Ontario and Stouffville, Ontario. Peter Reesor and brother-in-law Abraham Stouffer were higher profile settlers in Markham and Stouffville. Over 60% of the immigrants who arrived in Pennsylvania from Germany or Switzerland in the 1700s and 1800s were Lutherans and they maintained good relations with those of the German Reformed Church. The two groups founded Franklin College (now Franklin & Marshall College) in 1787.